Ok, by now we all know that Bang & Olufsen can go no wrong when it comes to top-notch wireless sound systems. And, yes, we are also very much aware that such kind of premium quality music equipment usually comes with quite prohibitive price tag. 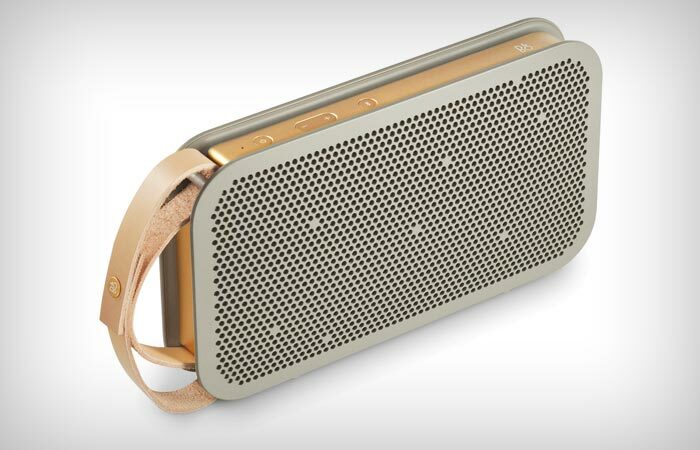 But what you probably haven’t heard yet is that the Danish audio gear producer has officially presented their latest Bluetooth speaker, BeoPlay A2, which promises an innovative “True 360″ audio experience and an incredible 24-hour battery lifespan. Let’s take a closer look at it, shall we? 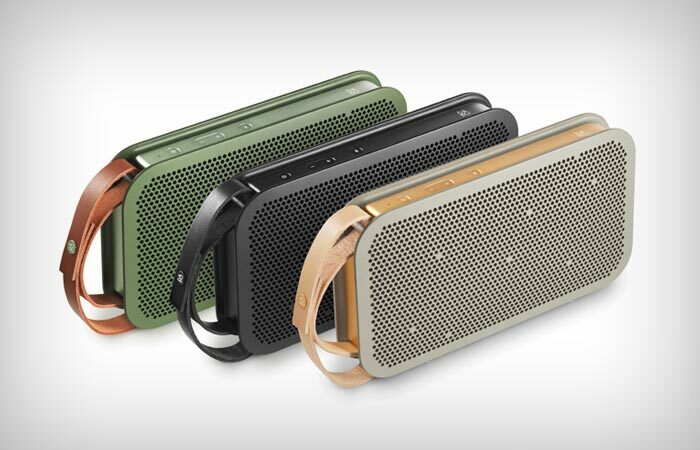 Built from a single premium quality aluminum slate crafted from a solid metal block and topped by a polycarbonate shell on both sides for maximum aesthetics, BeoPlay A2 sports a removable classy full-grain leather strap for convenient portability so it will go everywhere you go. Thanks to the advanced “True 360″ Omni-directional sound technology and dual speaker channels packed inside this slick set, it will deliver a 360-degree full stereo experience anytime, anywhere. This is achieved through a unique power response enhancement which ensures optimum noise radiation and minimizes the impact of the device’s position on the overall playback acoustics – in other words, you can put your A2 in the center of a room and enjoy rich stereo at any given spot with unaltered acoustic detail. Add to that the Bang & Olufsen Signature Sound system with top-of-the-crop digital sound processor, one large woofer at one side, a slightly smaller tweeter on the other end and a passive bass radiator in the middle, and what you get is 80 watts of surprisingly powerful and well-balanced sound with a rich bass and all-round clear acoustic range. But that’s not all: unlike most other Bluetooth speakers available on the market which can play for several hours without needing a recharge but then the party stops for a top-up, with BeoPlay A2, Bang & Olufsen promises an all-day (and night) audiophiliac fun thanks to its rechargeable lithium-ion battery with heat protection circuit and patent-pending Adaptive Power Management technology which can deliver an incredible 24 hours of continual playback on a single three-hour charge. Plus, the A2 offers Bluetooth 4.0 aptX connectivity with memory capacity for as many as eight users, and it can also stream music from two Bluetooth-enabled (or 3.5mm stereo cable-compatible) source devices simultaneously, which is quite impressive for a speaker of its slight dimensions. 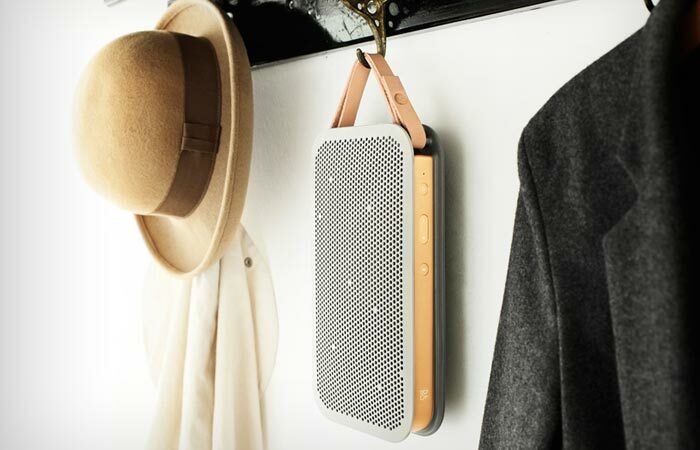 Control-wise, the BeoPlay A2 comes with on/off, volume up/down and Bluetooth on/off pairing buttons, but there’s more still – since the latest Bang & Olufsen speaker has a built-in USB port, it can even juice up your smartphone or tablet on the go without interrupting your audio experience. Believe it or not, all this advanced tech is packed inside a tiny box measuring 10.1 x 1.8 x 5.6 inches and weighing the slight 2.5 pounds. Cool, ain’t it? The A2 will be released in three different colorways – grey, black and green – some time in November, so keep an eye out on the Bang & Olufsen website for early order updates!